Fresh Class/Yes! Ideas, Teach/OK! 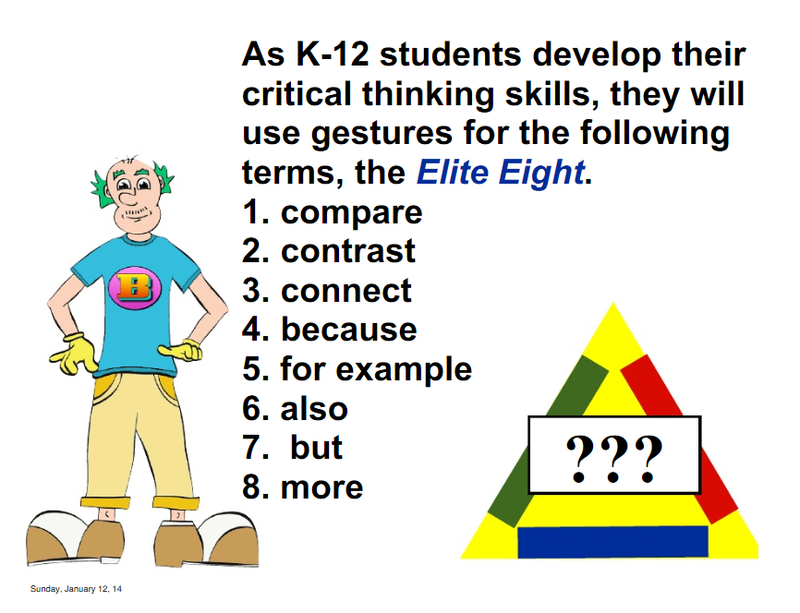 Ideas and Einstein's Triangles - the next generation of Critical Thinking - WBT Style!! My class has been on fire with new ideas for Class/Yes! and Teach/OK! I was starting to get a little ho-hum about our Snowball Class. They suggested Frozen Class! and they say Frozen Yes! and freeze like an ice berg!! LOVE! Also, they came up with SSssssss Hot Chocolate Class! and they say Ssssssss Hot Chocolate! Also, I was finding that the Teach/OK was producing some less than stellar Oh YEAHS! So I just changed up the clap - now we are doing marshmallow claps and sliding claps - imagine the possibilities!! Students repeat the concept definition 2X rather than over and over again in the very beginning of the lesson. After they have repeated it they move on to the second part of the triangle. 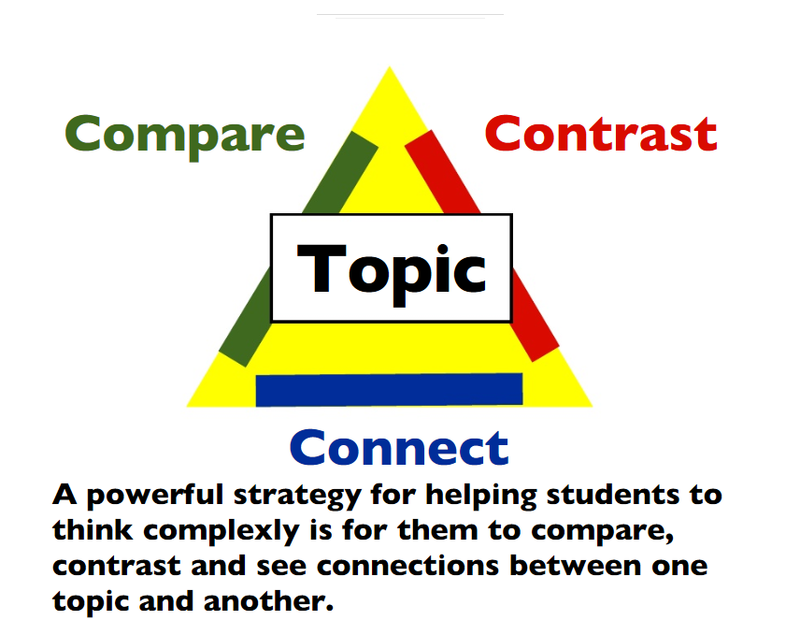 Students compare and contrast the new concept with other concepts they have already learned. Gestures are included while they discuss these similarities and differences. Third, students make connections between the new concept at other concepts, their life, or the world. Gestures are used! Click on the picture for extensive information on this new innovative method!! !